At the Food Fight Showcase in the spring of 2019, we asked many of our restaurants to show-off their skills. Every restaurant offered delicious tasting options but Executive Chef Giovanni Novella really went all out at the Fresco’s sampling station. He prepared a 30lb group, baked in a salt crust and served with a beurre blanc sauce. Needless to say, this show-stopping dish wowed the crowd. Countless people reached out wanting the recipe. So here it is! In a large bowl mix salt, eggs whites, star anise, 1 bunch of parsley finely chopped, pink peppercorns and lemon zest. Slice 2 lemons into thin rounds and stuff the cavity of fish with the remaining bunch of parsley. 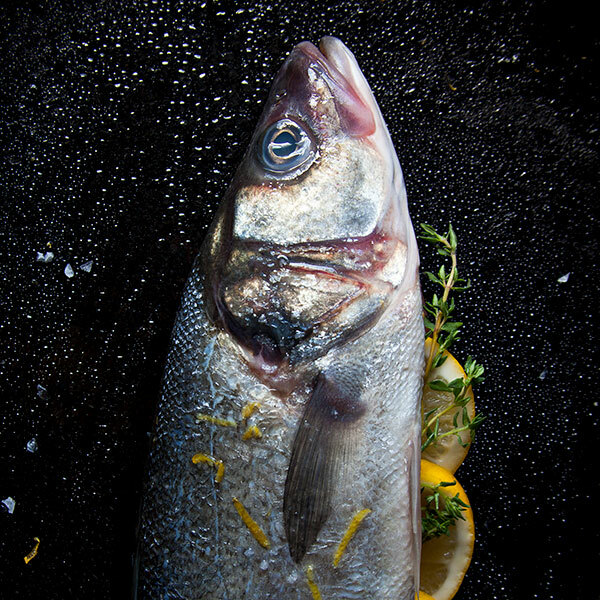 Line a sheet pan with parchment paper and spread a 1⁄4-inch-thick layer of the salt mixture onto the pan, just large enough to lay the fish on top. Cover fish with the rest of salt mixture, pressing down firmly to enclose the fish. Bake for 35 minutes or until internal temperature reads 135°F. Take out of the oven and let stand for 10 minutes. Gently crack open and remove the salt crust. Reserve some of the leftover salt crust on the table for sprinkling purposes. In a 4-quart stainless steel sauce pot sautée shallots and garlic in vegetable oil over medium heat for 5 minutes, add black peppercorns, bay leaves, and rosemary. Continue cooking over medium heat for 5 minutes. Add white wine, apple cider vinegar, and lemon juice. Bring sauce to a boil and reduce heat to a low simmer. Reduce until sauce resembles a thick syrup. Add heavy cream and return to a boil and reduce heat to a low simmer until the sauce has reduced again. While the sauce thickens, cut cold butter into rough cubes. Over medium-low heat, using a whisk, stir in butter cubes to emulsify. Add butter cubes a few at a time. Check sauce temperature after each addition to ensuring sauce returns to 160 degrees. Season to taste with salt and pepper. Strain through a fine mesh strainer or chinois and transfer to a storage container. Store in refrigerator.